A bike insurance plan is basically an insurance policy that offers financial coverage against the loss or damages which is incurred to or by your vehicle. In India, It is illegal to drive without a valid vehicle insurance. Moreover, without a valid Two Wheeler insurance policy, it is obvious that you have to bear all the financial burden associated with loss and damages that take place because of your two-wheeler. According to the Indian Motor Vehicles Act, 1988, mandatory for all the motor vehicles plying on the Indian road to carry a valid insurance policy.  It is completely illegal to ride on the roads of India without having a third party liability cover. A liability cover is mandatory to ride your Two Wheeler on Indian roads. Moreover, it is necessary to have an insurance policy as it offers the needful financial protection against unfortunate accidents that may occur because of damages to the insured vehicle, damages to the third party property, and bodily injury to the rider, pillion, or pedestrians. No Financial Stress: With a bike insurance policy you will get a financial protection in case of theft or any damages that occur because of or by your vehicle. Legally Protected: It is compulsory to have an effective form of Two Wheeler insurance, it is advisable to have a copy of the valid insurance policy all times to save yourself from paying a penalty. Personal Accident Cover: The insurers will provide coverage to the insured up to the sum of Rs 1 lakh that is payable in a case where the policyholder suffers from the total permanent disability or dies an accidental death. Peace of Mind: As you must be aware of that with a bike insurance, you will be financially protected against the Two Wheeler accidental damage repair costs, you certainly have peace of mind. Bajaj Allianz General Insurance Company Limited is basically one of the top general insurance companies of India. It was established in 2001 and have a presence in almost 200 Indian towns and cities. The company deals in a wider range of effective insurance products to suits different requirements of customers. With the digital applications, it enabled penetration. The company wants to deliver superior value and excellent experience. Bharti AXA General Insurance Company Limited is a leading general insurance company which was established in 2008. The company is completely owned by Bharti Enterprises in a combined undertaking with AXA, a global leader in financial protection. Bharti Enterprises carries 51% stake in this joint venture while AXA Group, international insurance, and asset management company share the remaining 49%. Right now the company has more than 79 branches all over the country. There are several insurance products in which the company deals such as two wheeler insurance, car insurance, health insurance, personal accident insurance, critical illness insurance, home insurance, and travel insurance. HDFC ERGO general insurance company is also one of the leading insurance company that deals in general insurance products. This company is basically a joint venture between HDFC Ltd. and ERGO International AG, which is the major insurance body of Munich Re Group. The company is providing a wide range of effective general insurance products such as motor, health travel insurance products. It also deals with liability, marine, and property insurance products. The company is rated 'iAAA' by ICRA Limited. It also carries the ISO certification. One of the top players when it comes to general insurance industries. It is also a joint venture between IFFCO or The Indian Farmers' Co-operative, Nichido Fire Group and Tokio Marine. The company was founded on 4th December 2000. The company is registering a growth rapidly since in inauguration. The company is offering a wide range of general insurance products and great products when it comes to motor insurance. The company is offering a hassle-free claim process. L&T General Insurance Company Ltd. is one of the top general insurance companies. The company wants to become the best and strong insurance company who can strong out proudly from all existing players. The company provides an effective range of helpful insurance products at affordable prices. The company carries an experience of more than 70 years in the same industry. The National Insurance Company- the best general insurance company which was founded in December 1906. It is the oldest insurance company in India and the only PSU non-life insurance company. The company carries its headquarter in the Eastern part of the country. NIC carries the tag of 'Best in Service' in the motor and health classes of Business. The claim ratio of this company is high as compared to others. New India Assurance- a renowned general insurance company which was established in 1919 by the House of Tata founder member- Sir Dorab Tata. The company got nationalization in 1973 with the merger of other Indian companies. It is the first general insurance company of India that the Rs14304 Crore as gross premium. The company carries its presence in foreign countries like Japan, U.K, Middle East, Fiji, and Australia. Oriental Insurance company is one of the leading insurance company. It was founded on 12th September 1947. The organization registered a humble start with the premium of Rs.99.946 initially. The company aims to offer high-class service to clients. The company has its headquarter in New Delhi. It also carries 31 Regional Offices and nearly 1800+ operating offices in different cities of the country. The company also operated in Nepal, Kuwait, and Dubai. The reliance general insurance is a renowned name when it comes to the general insurance industry. The company is offering a wide range of effective products that includes motor insurance, health insurance, travel insurance and much more. The company has 39 offices and more than 28900 intermediaries in all over India. The company has received awards for Quality Management System by well-known Global Quality Standards Auditing Company- Det Norske Veritas (DNV). Royal Sundaram Alliance Insurance Company Limited – a renowned name in the general insurance industry. It is also the first general insurance company of the private sector in India to be licensed since 2001. The company offers a wide range when it comes to Motor, Health, Personal Accident, Home, and Travel Insurance. The company has over 5.20 million customers and around 2000+ employees. The company is offering its helpful products in around 136 cities across India. SBI General Insurance Company Limited is basically a joint venture between State Bank of India and Insurance Australia Group (IAG). SBI has spread its branches all over India and serving high-class products. SBI basically caters in Motor, Health, Personal Accident, Travel and Home insurance for individuals, Fire, Marine, Package, Construction and engineering liability, etc. Tata AIG Motor Insurance Company is a joint venture between AIG, an American conglomerate and TATA. Since its inauguration, the company is offering high-class innovative products. The company offers a wide range of effective products to consumers via the online and offline method. United India Insurance company(UIIC) is one of the leading insurance company of India when it comes to the general insurance industry. The company was founded on 18th February 1938. It got nationalization in 1972. The company carries a team of around 18300 people and 1340 that is serving more than 1 crore policyholders. 1. Reliability: The first thing that you should look for while choosing a bike insurance company is its reliability. As a customer, it is very important to check the reputation of the chosen Two Wheeler insurance provider. You must look for the claim settlement ratios as well. Ask expertise of motor insurance industry, or log in to the internet to read reviews about the company’s claim service, get an estimate about how much time does the company takes to process the claims and settle them. 2. Complaints: While you are searching out a motor coverage organization make sure to check the grievance ratio against the agency. This ratio will come up with an idea about the general service of that enterprise, thus, could assist you in making a good choice. 3. Check policies: Check different types of policies and insurance offered by the company. Compare the capabilities, benefits, and exclusions noted in their motorbike insurance with those offered by a few different motorbike insurance companies. This will provide you with a concept that gives and better benefits. 4. Premium: At the same time as you're evaluating the functions and benefits of several motorbike policies provided by one-of-a-kind agencies, make it a factor to additionally check the premium amount charged by way of each organization. often you could stumble upon exceptional motorcycle coverage policies with comparable benefits at a premium fee. Such kind of evaluation allows you in getting the first-rate deal closer to your Two Wheeler insurance at the premium charge. 5. Discounts: Generally, bike insurance vendors provide reductions and bonuses on their policies. There are many insurance companies that provide great discounts to the insured.